With the world going app crazy and smartphone subscriptions on the rise, the time to localize your iOS app is now. But can you do it on a budget? Check out these 10 tips. This year, iOS localization will rise to the top of any product manager’s to-do list. Why? Because localizing your iOS app will allow your business to gain access to growing markets all over the world. From Asia, to South America, Eastern Europe and Africa. With so many developers getting ready to localize, you can’t afford to wait another moment. But, iOS localization doesn’t come cheap. Translating and optimizing your app for local markets and App Stores takes time, money and resources. Let’s face it, if you’re a small business on a budget, it can be hard to find the financials to start a full-scale localization project. Research and development, local translators, marketing campaigns, testing and modification. The cost of iOS localization can really add up. So, what’s the best way to do iOS localization on a small budget? Check out these ten tips. The best way to get your head around your iOS localization decision is to look at it as an investment, not a cost. Everything you spend on this process will come back tenfold in revenues, as long as you deliver a high-quality product. App localization has been found to generate seven times more downloads and increase revenue by 25% in the first few months. Developing economies, like China, India, Brazil and Russia, have huge potential when it comes to the iOS app market. In China, in fact, there were more iPhones in use than in the US, as of 2016! Becoming an active player here can boost your sales like no other market – as long as you get your iOS localization right. There are already millions of apps existing for both iOS and Android, but most of them are still in English. When you consider that the majority of the world doesn’t use English as a first (or even second) language, localization becomes increasingly important. Going global with your iOS app by localizing it for different regional markets is essential if you want to reach millions of potential customers. But even if your app is a sensation in your home market, you’ll be competing against local versions who know their target market better. Simply making your app available in English in 2017 isn’t going to cut it. iOS localization generated an average of 128% more downloads per country, according to a study by Distimo. So, there’s no doubt that app localization pays off. Besides higher revenues and greater downloads, you’ll increase international brand awareness and customer satisfaction. That might not translate into more sales immediately, but it will help you consolidate your market position over time. The first step towards iOS localization is preparing your app for new languages. This process is called internationalization, and refers to the technical aspects that allow your app to support further changes. You can save a lot of money when you create your iOS app with localization in mind right from the beginning. So, if you’re on a budget and don’t want to waste more time and money, start thinking about your iOS app as a global product. If you didn’t plan for an international audience when you first developed your app, find a good developer and make some changes. Luckily, with the iOS 10 latest update, planning or modifying for localization has never been easier. Think about any future updates and improvements you want to make as well. 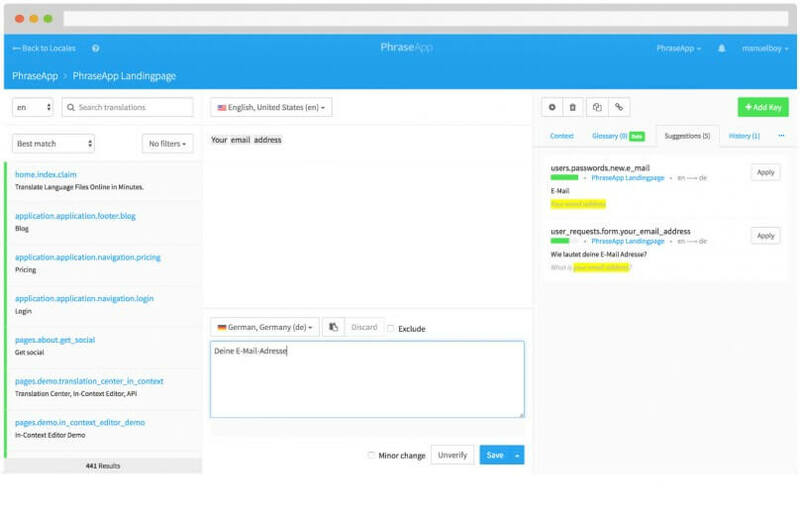 All new features you add will need to be localized too. Internationalization is usually a one-time expense, so once you’ve prepared your app for iOS localization, you won’t have to factor in further costs for this. When you’re working on a small budget, be sure to stay on top of all aspects of the localization project. Separating your texts from the code. Make sure that your developers do this throughout the iOS localization process. Locate all the strings in your app in a separate place, using constants for cleaner code. This way, your translators will work faster and easier, no matter what language they’re going to translate into. That’s less working hours paid and fewer problems to deal with when launching in new markets. Use the Apple guide to internationalize your iOS app efficiently. Depending on the type of product you’re creating, make sure you set important units of measure. For example, currencies, numbers, weights, and time and date formats that can vary from one region to another. If you integrate your app with social platforms, like Facebook, make use of the tools This can help to localize your product without overspending. Create language plural rules in your code. Not all languages form noun plurals the way that English does. So, make sure you cover this particular aspect when you internationalize your app to avoid any problems. Program your app to accept texts in any language. Or, better yet, in more than one language at once. This way, no matter what language the user interface is set on, your strings won’t break and the design won’t crash. Avoid variables, where possible. Programmers know that these placeholders are going to be substituted by values in the localized app. But translators can have a hard time understanding the structure of your text, if your message is over-coded. When you use variables, make sure your translators know exactly what they contain. This way, they can understand the context and create complete sentences that allow them to come up with an accurate translation. It may seem as if you’re spending more by using less variables, but you’ll save time fixing unclear sentences in the final version. Create a flexible layout for languages that take more space than English. This will make sure that your iOS app looks good in all versions and you’ll spend less time adapting your design. When you have to translate your app into languages like German or Spanish, that require up to 30% more space than English, you’ll be glad you factored in the extra room. Use Unicode functions. This is the only method that supports all characters from any language, including Russian, Chinese, and Japanese. Your app icon design directly influences downloads. So, if you have a limited budget for iOS localization, make sure you don’t cut corners here. You’ll need to adapt your icon to make your app appealing for all local markets. If you can’t afford to design a new image for your localized versions, make sure your current icon doesn’t have negative connotations for potential customers. The “thumbs up” sign, for example, is generally accepted as a positive gesture, but in some parts of the middle east, is considered vulgar and insulting. Many potential users decide to download (or not) depending on their first visual impression. So, you need to stand out from the crowd with something simple and easy to recognize, which also expresses the essence of your app. Try not to use text in your icon for two main reasons. Firstly, because (depending on the device) it will more than likely be illegible or blurry at iOS’s smallest size (66×66). And secondly, because it will need to be translated into other languages. This is one area where you don’t have a lot of space to play with and you don’t want to risk creating the wrong meaning. Your icon shouldn’t include symbols that may have cultural or religious meanings around the world, such as stars and crosses. Putting in the research may seem like a lot of time, but you’ll save money if you don’t have to change your icon every time you enter a new market. Changing graphics can also increase your iOS localization costs. So, avoid any graphics that contain embedded texts, as they will need to be redone every time you switch languages. Instead, use editable graphics, where you only have to change the original text with its translated version. This will help to keep your costs down. When localizing images, don’t forget about your screenshots for the App Store. After all, there’s a higher chance that users will look at your images than read your app description. If you can’t afford to hire another designer, modify your screenshots using free tools, like AppLaunchpad Screenshot Builder or LaunchKit’s Screenshot Builder. Before designing your new screenshots, be sure to check all the words and phrases of your localized versions with your translators. This way, you’ll avoid any confusion among potential users. If your iOS app uses maps of any kind, localize these as well. A Chinese customer won’t appreciate a map that still has details written in English, while a French speaker probably won’t understand directions in Chinese. There’s no need to start localizing your app into 10 or 15 languages at once. When you need to keep expenses under control, start localizing for markets with the highest potential return for your iOS app. Study the analytics for your site and you’ll get a good idea of where demand is likely to be higher for your product. Checking out Apple sales around the world can also be a good indication of where to start your iOS localization project. Besides English-speaking countries, Apple devices are extremely popular in Japan, Germany, France and China. In fact, Chinese is the number one language to localize your iOS app into, followed by Japanese, Korean, German, French, Spanish, Italian and Malay. These are not all easy markets to crack, as the cultural differences can be vast. That leads many product managers to regard Spanish as the number one language to localize into. Don’t be fooled into thinking that one Spanish version of your app will work for the whole of South America, though. You may be able to adapt your Spanish version more easily into local variants. But don’t forget that tastes and preferences (and even vocabulary) vary greatly from one region to another. Most of these countries register millions of iPhone users and most of them already downloading impressive numbers of iOS apps each year. But, potential users are just one of the metrics you should consider when choosing which countries to approach first. You should also think about the type of app you’re selling and whether it solves a problem in your target region or not. Think about the local competition and cultural differences. What people find useful in the western world can be of little (or no) interest in the east. The key is to approach the highest number of potential customers with minimum costs. So, translation and marketing expenses can also be an important argument when deciding which countries to start with. Common languages, like Spanish and French, will be cheaper to work with than rarer languages, like Urdu and Malay. Most successful developers promote their apps using websites, landing pages, Social Media channels and blogs. With about 1,000 new apps entering the App Store every day, having at least one of these marketing tools to make your app known is essential. But localizing your entire marketing package at once means higher costs. So, if you’re on a small budget, set your priorities and start with the most essential part. Localize your iOS app first then start investing in localization of your supporting marketing materials. Begin with localizing your app’s page in the App Store. Translate and adapt your app’s name and description. Then redesign all screenshots, making sure you use relevant images for the new audience. If your screenshots contain examples of names, addresses, currencies, or any other “local” details, change them to fit the new country. App Store Optimization is essential, so make sure that you don’t cut corners with your App Store description, title and keywords. Once you’ve finished with your app, you can start localizing your website with landing pages, social media and other useful tools for promotion. When doing iOS localization on a small budget, you may be tempted to choose machine translation to reduce expenses. But this can compromise your entire app localization process. Machine translations will generate mistakes, which will cause delays and extra costs in the long term. Considering that the number of words you’re translating for your app is probably not very high, you should invest in quality services. A good, native translator will be well worth the money. You’ll get an accurate translation and certainty of compatibility with cultural differences. This is something that Google Translate and other online translation tools can’t provide (yet). You’ll need to translate your app’s name, description, meta data, all the text inside the app and, in some cases, additional content. It’s important to get all of these right. There’s no use in having a perfectly localized iOS app, if your advertising or App Store page are badly translated. To keep costs under control, discuss prices per word from the start. Set clear milestones that will help you control how your budget is spent. You can also save time and money by following some simple rules. Provide context. Translation is faster and easier when your translators know the bigger picture. Don’t ask them to translate single strings without context. When your translators understand your product, they’ll know which words to use to describe it better. There will be less time wasted asking questions and discussing possible translations for ambiguous texts. Set reasonable deadlines. Human translation takes time, so if you need everything done by yesterday, get ready to pay for a larger team and rush fees. Don’t change content during the process. You’ll save time by starting translation early in the app localization process. But if you plan for changes, wait until everything is finished. Decide on all textual modifications before sending them for translation. This will reduce the number of words translated (and translated again) to a minimum. There’s no better way of saving money and streamlining efficiency than with good management. iOS localization is a complex process that brings together technical and non-technical talent. So, you should be able to work well with programmers, translators, terminologists and engineers. Start with a clear project plan and manage time, budget and resources throughout the localization process. Analyze results periodically and keep track of progress. Be sure to discuss all decisions about expenses with your financial team. Large companies usually hire a Localization Manager to handle the team and control their movements. But when you’re working with a small budget, you’ll have to do this work by yourself. Manual work takes time. And, if you don’t want to have higher expenses and missed deadlines, sometimes you have to sacrifice quality to keep your team’s rhythm. This is where you can use technology to keep a consistent workflow and your costs down. Translation management software will be a life-saver, especially if you’re planning your iOS app localization in several languages, or for more than one product. You can make sure that your team works in harmony, and that your translators and programmers collaborate together with ease. Translation errors are reduced to a minimum and everyone has more time to focus on their tasks. A good translation management software will come complete with an API for integration, tagging and collaboration functions and a solid Translation Memory (TM). Using a TM can help you reduce the amount of work involved by creating a large database containing all your translated content. Your translators have access to specific terminology that is already explained and translated, which means that they can work faster for lower rates. Once you’ve finished localizing your iOS app, you’ll need to test the results before launching. Many translation companies provide these services, but it’s best to work with locals in this phase of your project, if you can. Native speakers can give you valuable feedback about the way you’ve localized your app. They can easily identify translation mistakes and warn you about crossing limits when it comes to cultural differences. Another important advantage is that, in most cases, working with a local team costs less. Depending on the country in question, you can make significant savings by contracting QA and testing to a local specialist. You can also make use of their regional expertise for your local marketing campaigns. No matter how small your budget is, leave a portion of it for localization of your marketing materials. You’ll need to make your app visible in local App Stores if you want to encourage downloads. Otherwise, all your iOS localization efforts will take months before paying off – or worse – go unnoticed. Build a strategy that matches your brand and respects local culture at the same time. Many big-name brands have failed during the marketing localization process. So, using your in-house team only can be a risky path to take. Damaging your image as soon as you enter a new market will add extra expenses in the long term and compromise your localization efforts. iOS localization on a small budget is possible, if you make use of the tools available to you and find the right people for the job. Above all, what makes the biggest difference is your ability to manage your team and control the way your money is spent. Start by identifying the scope of your iOS localization project and set your budget based on these calculations. Find out how internationalized your app is and how long it will take to make any technical changes. Count the number of words that need translation and request quotes to see how much it will cost. It’s also useful to know how much translators charge for additional changes and what their turnaround time is before setting your budget. After discussing possible prices with local marketing agencies, add testing and promotion costs. Now rinse and repeat for each new market you want to enter. Thorough planning is the key to managing iOS localization on a small budget. But always leave some room for unpredictable situations and unforeseen expenses. You never know when to expect the unexpected and you’ll be glad you saved a little extra cash for when you need it most.